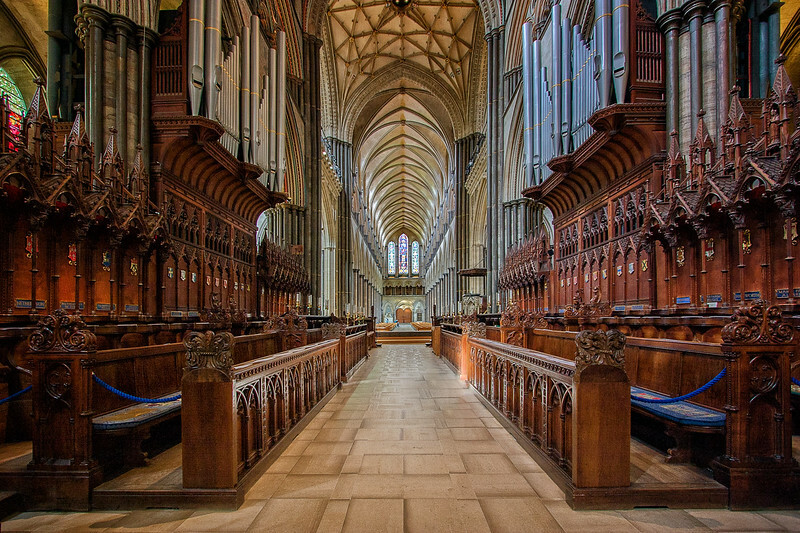 The magnificent choir at Salisbury Cathedral is a masterpiece in mirrored design. There are subtle differences but it look almost like a trick of processing where one side is flipped to create the other. Imagine how many years of the craftsmen’s lives went into creating such detail many centuries ago.